At Texas Master Plumber we serve Houston and the Metro Area with residential plumbing service and commercial plumbing service. We detect water leaks and repair water leaks. Water leaks can have disasterous results. First, there is the initial damage to the plumbing, and then the secondary and often times more costly damages to everything around the site of the leak ranging from baseboard damage to drywall damage and worse. 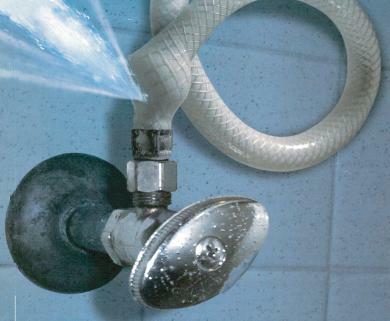 Damages from leaking plumbing pipes can turn misfortune into a fortune in repair costs. It is important to call a plumber at the first sign of a water leak. If you smell an odd musky odor that persists over time, have discolored paint on your ceilings or walls, baseboards pulling away from your walls, or flooring that buckles in places, you could have a water leak. Don’t wait, call the Texas Master Plumber today. Your leak won’t just “go away.” In fact, your leak can only get worse if left alone. The longer you wait to have a leak repaired, the more your external structures can be damaged. 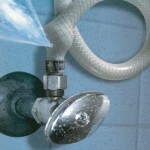 Don’t let a water leak turn into a water disaster. In some cases, damages from a water leak can be stopped and the possibly reversed. If we can catch a leak before it saturates wood and other materials, a fan can keep a small water leak from becoming a complete remodel. Call Today For Same Day/Next Day Water Leak Services! If you suspect a water leak, give Texas Master Plumber a call and we will send one of our qualified licensed plumbing technicians out to determine if you have a serious plumbing leak or if it is something minor. If it is possible for you to shut off the water valve at any point before the water leak, you could prevent water from damaging your home or property. Either way, call Texas Master Plumber immediately. Texas Master Plumber will get there as quickly as possible to help you make your plumbing repairs. Texas Master Plumber is a qualified licensed plumber. We proudly serve residential plumbing and commercial plumbing in the Greater Houston Area. Texas Master Plumber is recognized by the Texas State Board of Plumbing Examiners. Call us today! If you have experienced damage to your home or office from a water leak, you might also want to contact a public adjuster before making a claim to your insurance company. In many cases public adjusters can help you get up to 750% more on your insurance claim than you can dealing directly with your insurance company. This tip is a free-bee from your friends at Texas Master Plumber.